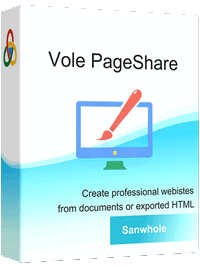 Vole PageShare is an offline websites builder, let you create professional stylish charming websites based on usual word processing documents. 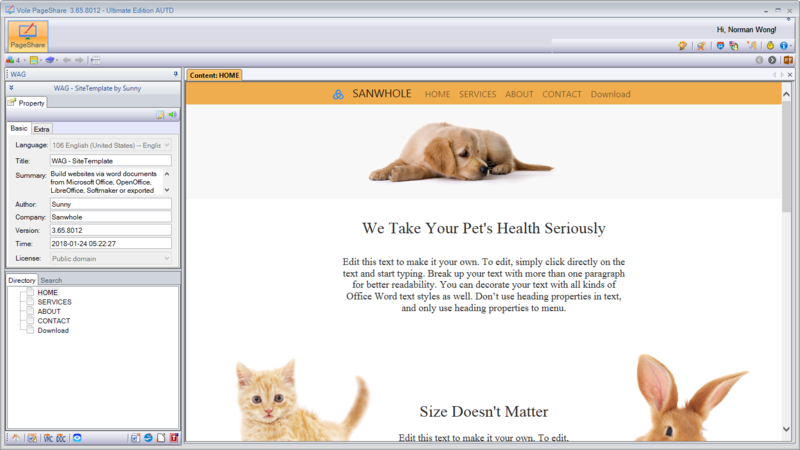 No coding, no online drag-drop and you don’t have to build your website from a sentence, a picture to start. The content of the website comes from your daily word processing files. You only need to focus on editing your document with familiar word processing software. Vole PageShare will complete all the remaining work on creating your website include automatically create multi-level website navigation; Set website brand text, logo image, website favicon; Build full-width image landing page, MP4 video landing page; Add slideshow, lightbox, accordion, advanced tables; Support file download, MP4 video play and online YouTube video; Support custom HTML code, etc.